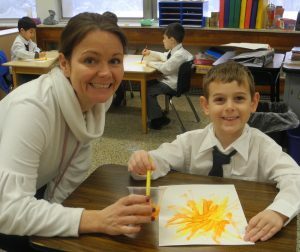 The admissions process is designed for you to learn about St. Aloysius Academy and know that it is the right place for your son. Through the process we learn about one another and discover if the mission of the school is in line with the educational goals and values of the family. The following outlines the steps of the admissions process. All of the steps must be completed in order for applications to be ready for review by the Admissions Committee. Explore our website, follow us on Facebook, Instagram and Twitter and contact us for more information. We welcome you to schedule a private tour or explore St. Aloysius Academy during an Open House. Schedule to have your child spend a day at St. Aloysius Academy so he can meet and interact with teachers and students. Plan on arriving at the front entrance at 9:00 a.m. Representatives from the class your child is visiting will take him to the classroom where he will spend the day. There will be a short emergency contact form for you to complete so we are aware of any allergies he might have, or any added information that is important for your child’s well-being. Sign the Confidential Teacher Recommendation Form and give it to your child’s current teacher to complete confidentially and mail directly to Admisssions Director, St. Aloysius Academy. 5th – 8th grade applicants will have an interview with the principal. 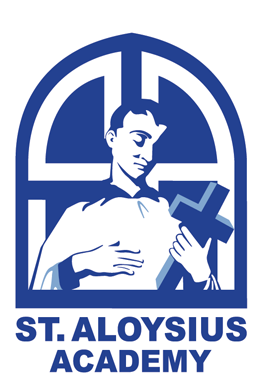 St. Aloysius Academy reviews completed applications as they are submitted and continues until all available openings are filled at grade level. You will be notified by mail of your son’s acceptance.